The scientists are now collaborating with Cosmo Bio, a Japanese biotech firm, to explore the potential of commercial production of the protein. Japanese scientists at the Biomedical Research Institute at the National Institute of Advanced Industrial Science and Technology have created hens that can lay "golden eggs" containing a protein used to treat cancer and hepatitis. These scientists used new genome editing technology to create the hens that can lay multi-million pound golden eggs with high quantities of human interferon beta at a low cost. According to a report in The Telegraph, the scientists first inserted a gene into chicken germ cells to produce human interferon beta. The cells were then stuck into normal embryos. Once the resulting cockerels grew up, they were made to mate with hens. The next generation of hens laid these interferon beta-rich golden eggs. 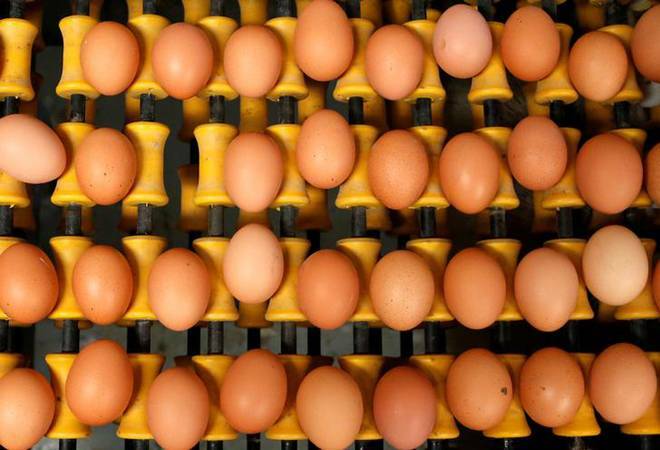 Each egg contained protein from 30 mg to 60 mg. As a result, each egg is reportedly being valued as worth between 408,000 pound and 2 million pound a piece. Human interferon beta that is an anti-viral protein commonly used as a therapeutic agent for diseases such as hepatitis and cancer. Cosmo Bio plans to sell the protein, produced by its own hens, from early next year. They want to make it commercially viable in the future after more tests. "For Interferon-beta protein, we have about 20 hens in-house. So far our hens produce the eggs constantly, just like normal hens," said Mika Kitahara of Cosmo Bio to the Telegraph. She also added that these hens can produce eggs constantly, so they can obtain recombinant proteins in large amounts and with stability. Kitahara further said that this system also doesn't involve killing hens.